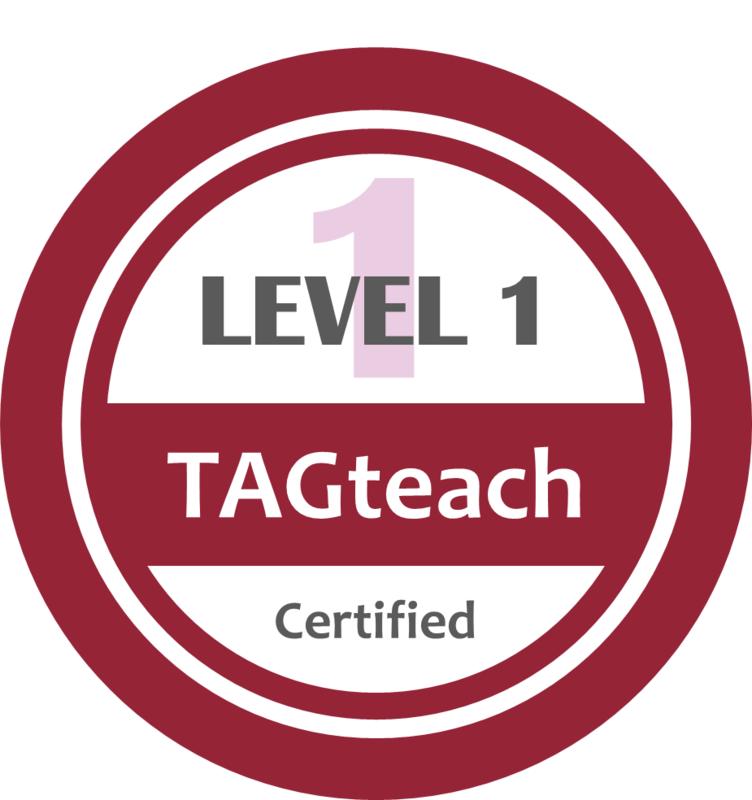 Your certification entitles you to use the appropriate TAGteach certification badge. You must remain a TAGteach member in good standing to maintain your certification and use the badge. To maintain certification you must attend 2 TAGteach webinars (or recorded webinars) per year and any other online training as specified from time to time. This will be free or low cost. Please note that only TAGteach Faculty and Level 3 TAGteachers are qualified to speak at instructional events. Only TAGteach Faculty can certify other TAGteachers. Certification events can be held only with the permission and participation of TAGteach International. Other events involving speaking engagements that will use the TAGteach trademark require permission from TAGteach International. This includes podium presentations, lectures and webinars that explain the theory and/or use of TAGteach as the major topic of the presentation. If you are asked to give a presentation and you are not sure about the legality of using the TAGteach name, please contact joan@tagteach.com for confirmation. To qualify for certification at Levels 2 or 3 you must be a current member in good standing of TAGteach. Please reactivate your membership if it has lapsed. If you attend a live seminar you will get another 6 months of membership automatically. If you have not attended a seminar since before 2016, then you should take our free online mini-course to make sure that you are up to date on current best practices. Your certification submissions must conform to our current standards of practice and wording of tag points. Click here for the free course. If you have any questions about certification, please send an email to Joan Orr at joan@tagteach.com. As a Level 1 TAGteacher you may refer to yourself as a TAGteacher and may use TAGteach (and call it such) with your clients. You may use the the certification badge at your wesbsite and in your printed marketing materials as long as you remain a member in good standing. You may participate in free educational sessions to help spread the word about TAGteach. For example, Lunch and Learn or local Chamber of Commerce breakfast meetings. Please contact us and we will provide PowerPoint and videos for such presentations. You may not hold training sessions in person or online to instruct others on the application of TAGteach. The TAGteach name is a registered trademark and you may not use it in any commercial applications (lectures, webinars, publications etc). As a Level 2 TAGteacher you may refer to yourself as a TAGteacher and may use TAGteach (and call it such) with your clients. You may use the member logo and the certification badge at your wesbite and in your printed marketing materials as long as you remain a member in good standing. You may not hold training sessions in person or online (including webinars) to instruct others on the application of TAGteach. The TAGteach name is a registered trademark and you may only use it in commercial applications (lectures, webinars, publications etc) under contract with TAGteach International. 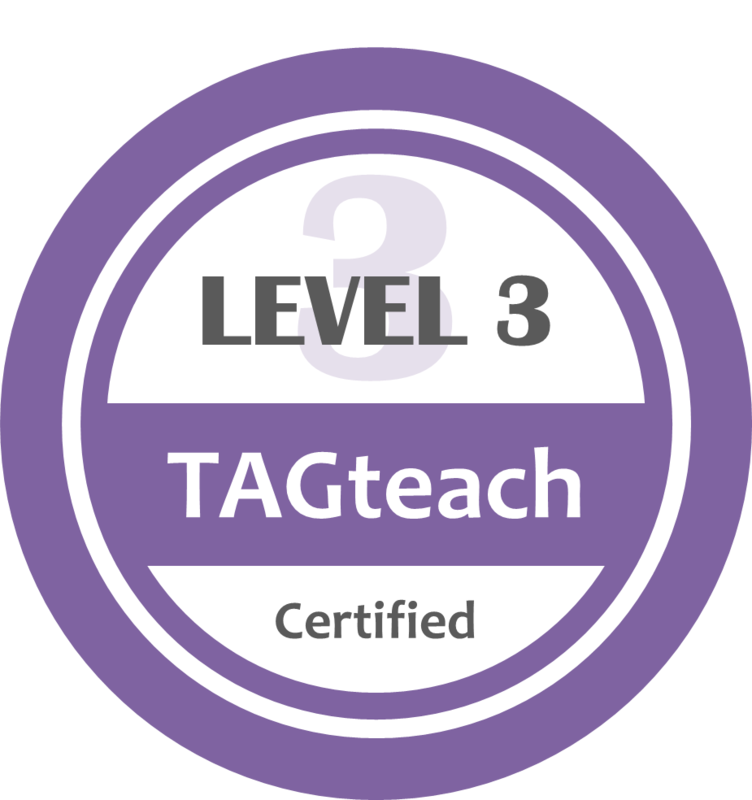 As a Level 3 TAGteacher you may refer to yourself as a TAGteacher and may use TAGteach (and call it such) with your clients. You may use the member logo and the certification badge at your website and in your printed marketing materials as long as you remain a member in good standing. You may hold training sessions in person or online to instruct others on the application of TAGteach as long as you hold a valid contract with TAGteach International and you remain a TAGteach member in good standing. The TAGteach name is a registered trademark and you may only use it in any commercial applications (lectures, webinars, publications etc) under contract with TAGteach International. We will provide presentation materials and help with the creation of presentations that you may make as a representative of TAGteach International. Any activities related to teaching others about TAGteach that generate revenue are subject to revenue-sharing with TAGteach International as specified in your contract. You may not certify other TAGteachers. 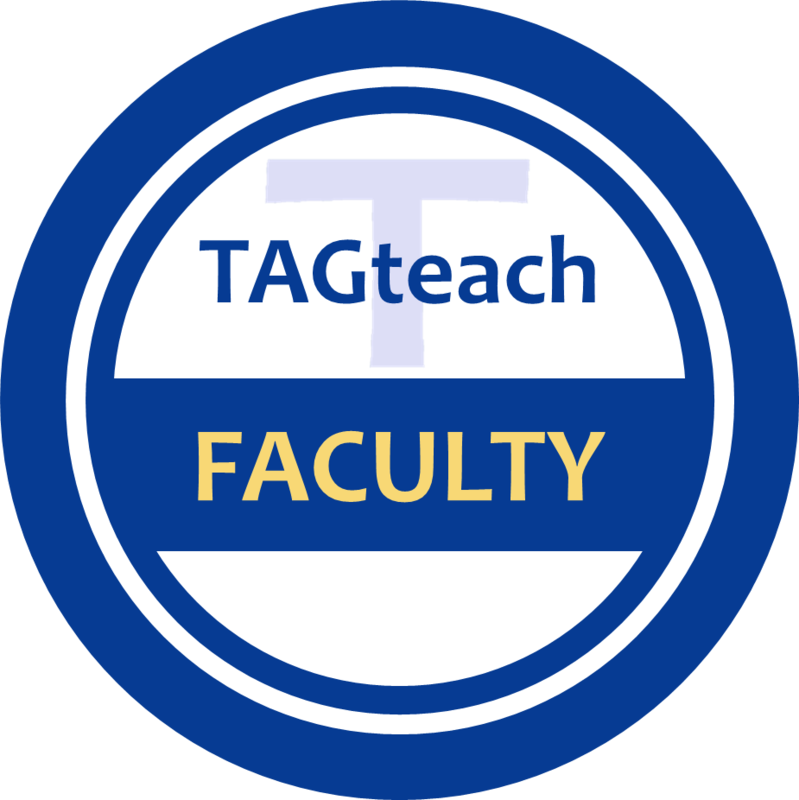 As a TAGteach Faculty member you may refer to yourself as a TAGteacher and/or as TAGteach Faculty and may use TAGteach (and call it such) with your clients. You may use the certification badge at your wesbsite and in your printed marketing materials as long as you remain a member in good standing. You may certify other TAGteachers as specified in your contract. All materials used in certification presentations must be approved by TAGteach International.